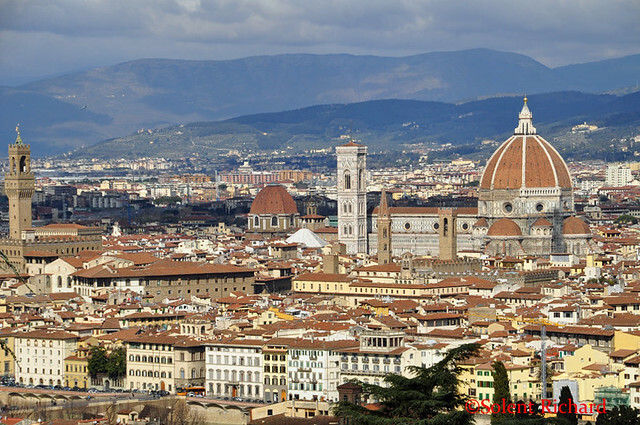 There are probably more questions asked of the cruising community regarding visits to Florence and Pisa from the port of Livorno, than for any other regular cruise ship port. It therefore gives me great pleasure to hopefully show just what can be achieved in a day from the port of Livorno. 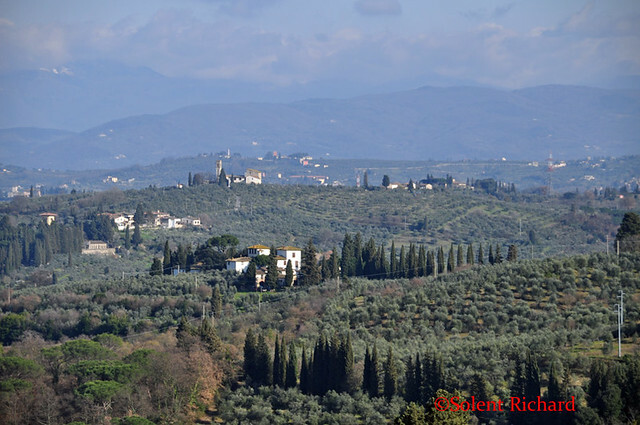 This is an account of how my wife and I utilised a local tour operator while on a cruise ship visit to Livorno. Remarkably, it was the first occasion that we had visited that port and we were therefore more than keen to maximise our visit and the time available. 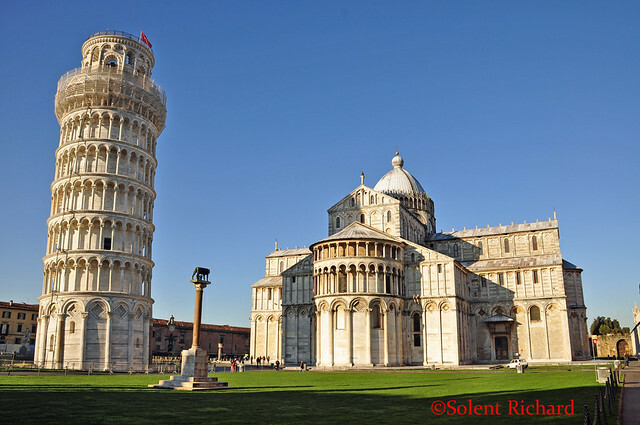 While I fully accept that it is not the cheapest method to see either Pisa and/or Florence it does, however, have a great number of advantages as I’m sure readers will appreciate. Other options to visit these particular places are of course by using a ships excursion or on a DIY basis, generally by train. During my research my attention was drawn to Papillon Services. I was impressed with both their website and the ease with which questions were answered on a series of one to one email communication. Papillon Services were a most helpful organisation and a number of options were discussed. They did not require payment ‘up front’ but did require, quite reasonably in my opinion, credit card details to cover a late cancellation. Our Mercedes limousine was waiting on the jetty a good 30 minutes before our agreed time: indeed we were on the road 15 minutes before the agreed departure time and well ahead of both the ships excursions and shuttle buses. I would point out at this juncture that a number of cruise ships charge around $7 per head fee for their shuttle buses as walking off the jetty is not an option in the port of Livorno. 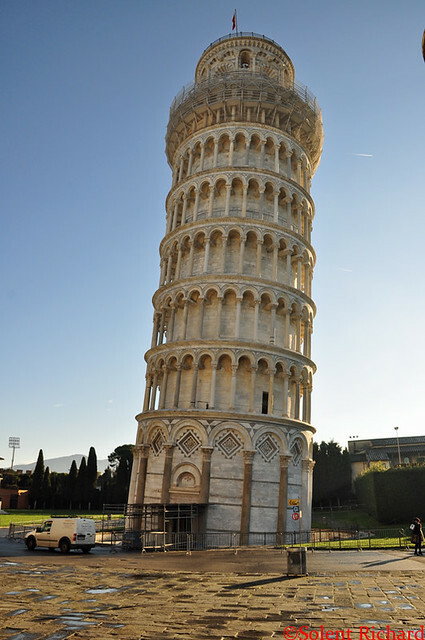 It is no secret that one of the problems at Pisa is the queues to enter the Leaning Tower. Again, no problems here as the picture shows. 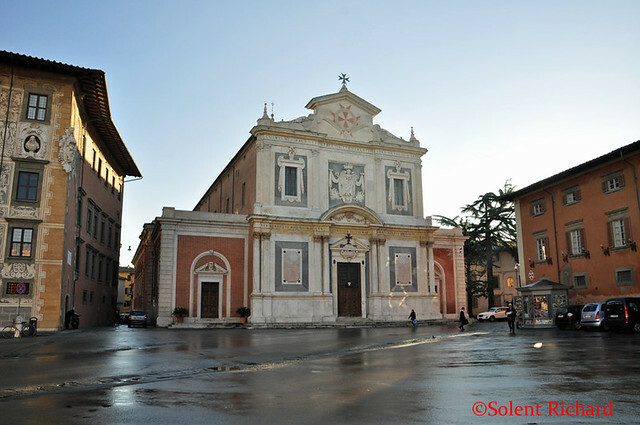 At the heart of the Piazza del Duomo is the Medieval Cathedral, Santa Maria Assunta (St. Mary of the Assumption). 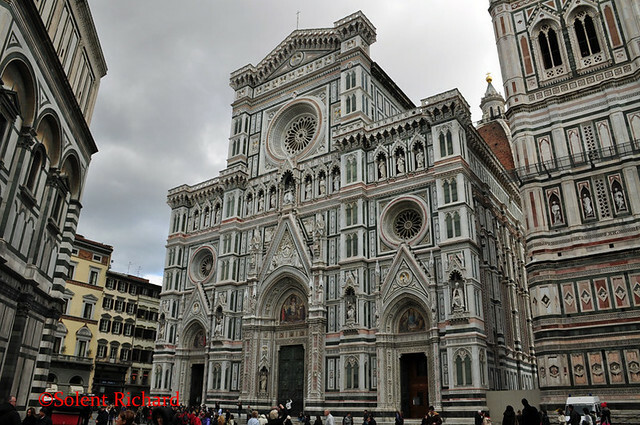 This is a five-naved cathedral with a three-naved transept. 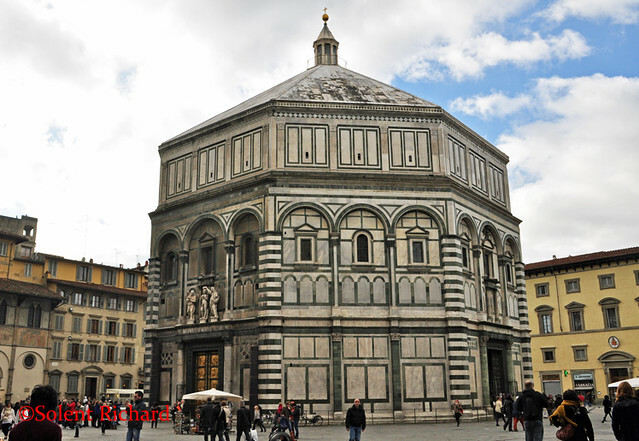 The church is known also as the Primatial, the archbishop of Pisa being a Primate since 1092. 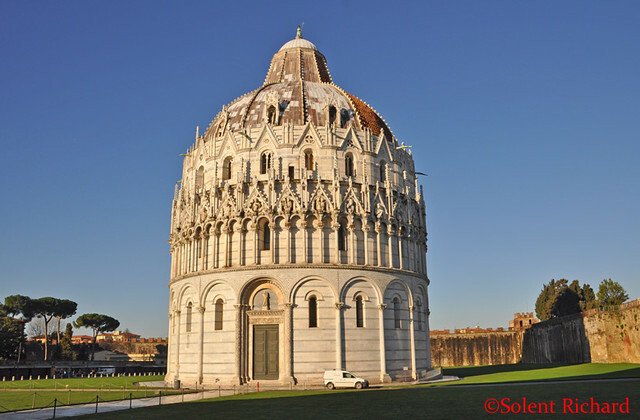 Notably the construction of the Baptistry commenced in 1152 and was not completed until 1363. 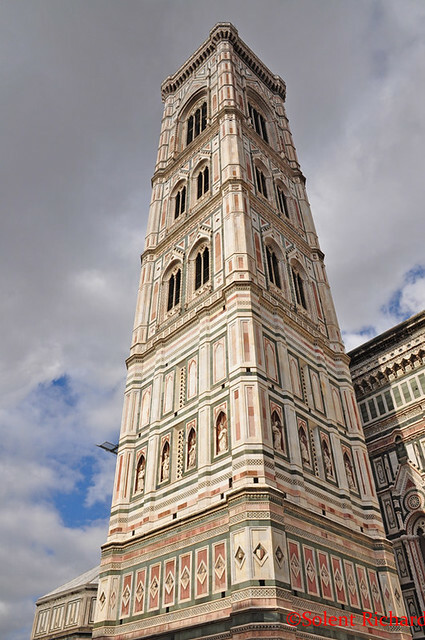 On completion of our visit to Piazza del Duomo, Roberto took us on a driven tour of the town, explaining it’s history and pointing out everything he thought pertinent to our interest. 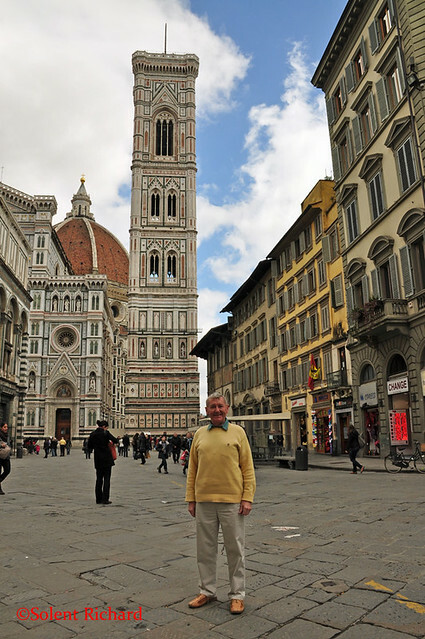 At this point it became clear that our transport had an electronic pass which enabled it to enter the streets of both Pisa and Florence, including places where coaches are not allowed. 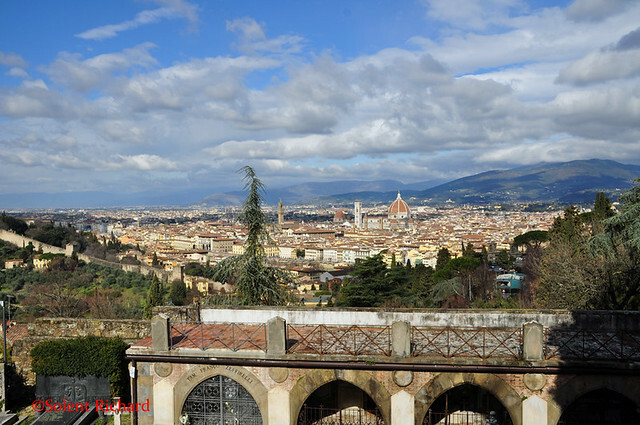 There was to be a further similar advantage later in Florence. 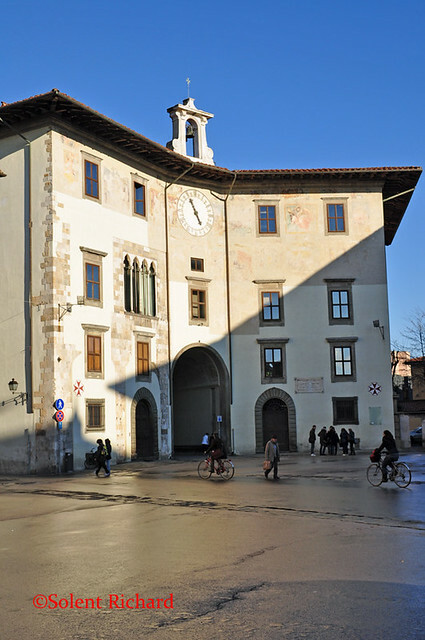 The building had been the home of the ‘Captain of the People’ since at least 1357. ( The Captain of the People was a political figure of the local administration in medieval Italy established essentially to balance the power and authority of the families of nobles). To the left of the central arch can be seen the old profile of the original tower when the building belonged to a noble family. 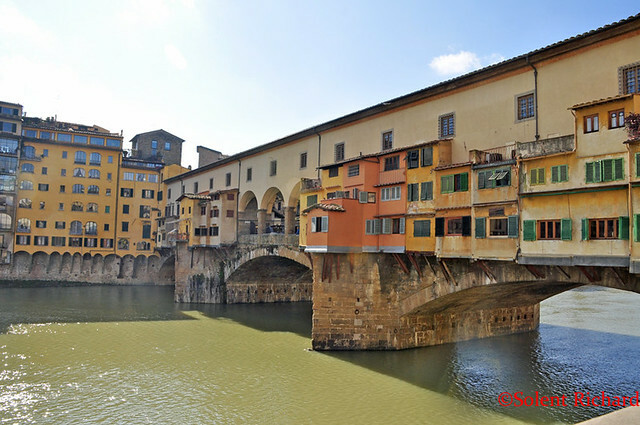 The Ponte Vecchio, or ‘Old Bridge’ is a medieval stone closed spandrel arch bridge over the River Arno and remains noted for still having shops along it, as was once common. Butchers initially occupied the shops; the present tenants are jewellers, art dealers and souvenir sellers. 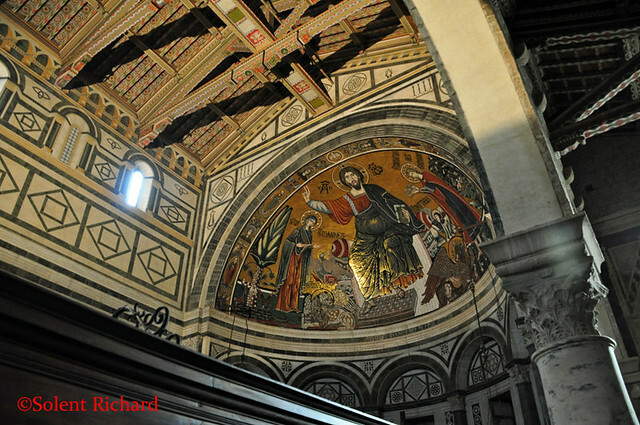 …as part of the complex of buildings that make up Florence Cathedral. 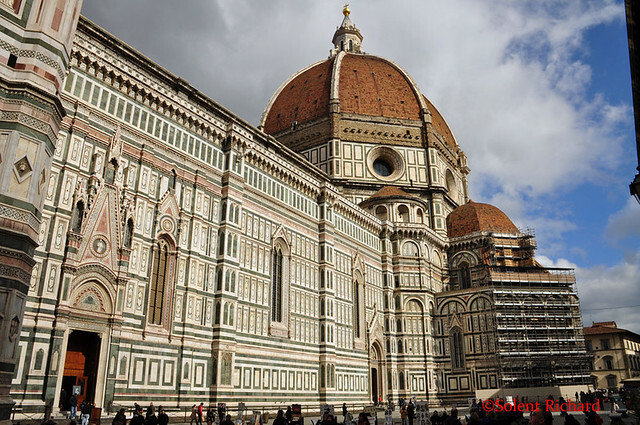 Brunelleschi’s Dome was a later addition and the solutions to its construction so long ago were veritably ingenious…. 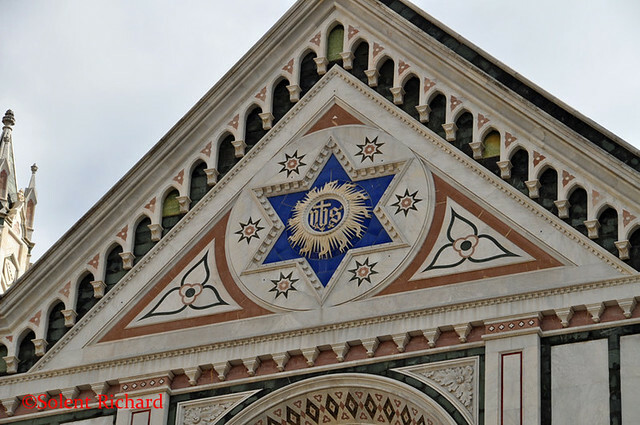 …on the façade. 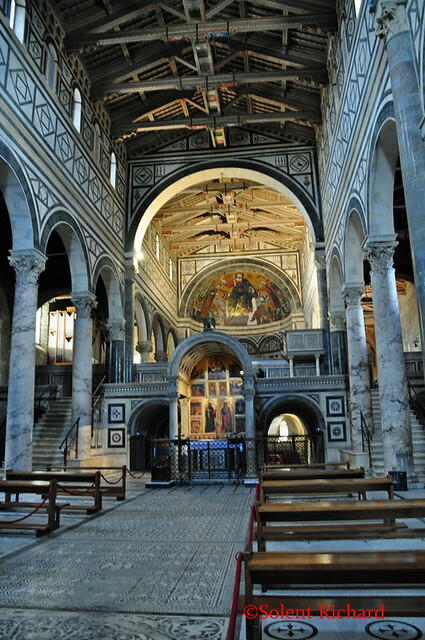 The Basilica is the largest Franciscan church in the world. 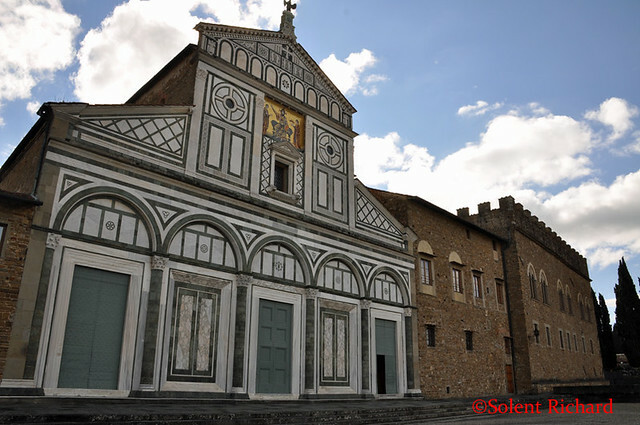 Its most notable features are its sixteen chapels, many of them decorated witfrescoes by Giotti and his pupils. 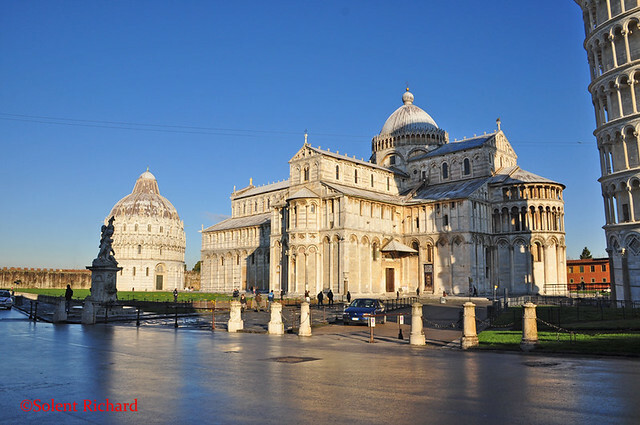 It is also the burial place of some of the most illustrious Italians, such as Michelangelo, Galileo, Machiavelli, Gentile and Rossini, thus it is known as the Temple of the Italian Glories. 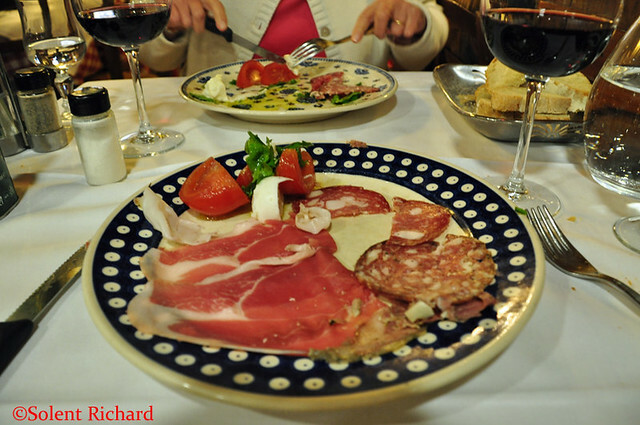 An excellent choice of restaurant with very good traditional Italian fare. 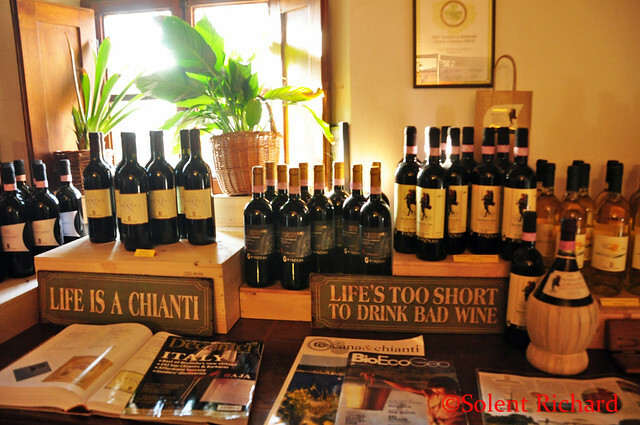 The restaurant is patronised by Italians and tourists alike and offered a very reasonable Chianti Classico House Red. 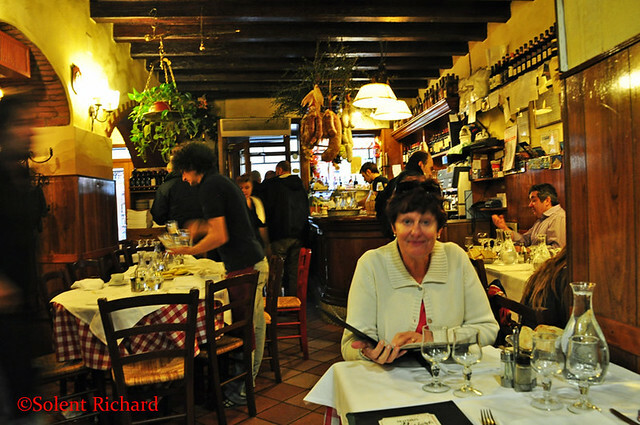 Our 3 course lunch with wine came to €43.00. 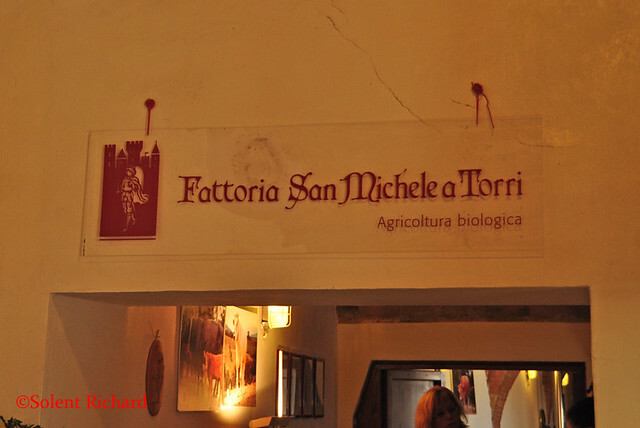 Exceptional value considering the quality and position of the trattoria. Suitably fed and watered we continued our tour of Florence with Roberto. 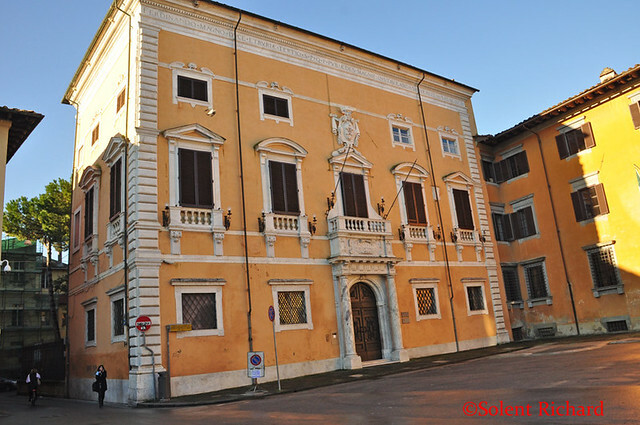 …or interpreted into English, the ‘Old Palace’. 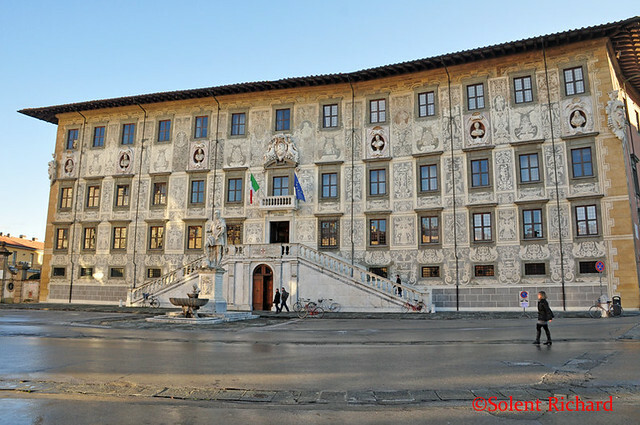 Effectively the Town Hall, this rather impressive building again in the style of a Romanesque fortress, overlooks the Piazza della Signoria with its copy of Michelangelo’s David statue…. 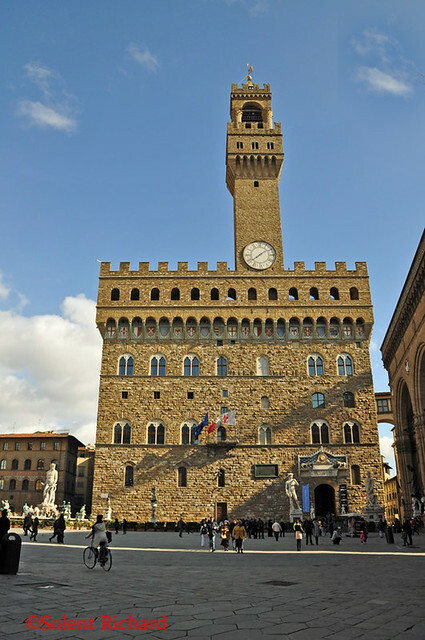 The Palazzo degli Uffizi (Uffizi Palace) was built between 1560 and 1580 to originally house the administration of the government of Grand Duke Cosimo I de’ Medici. 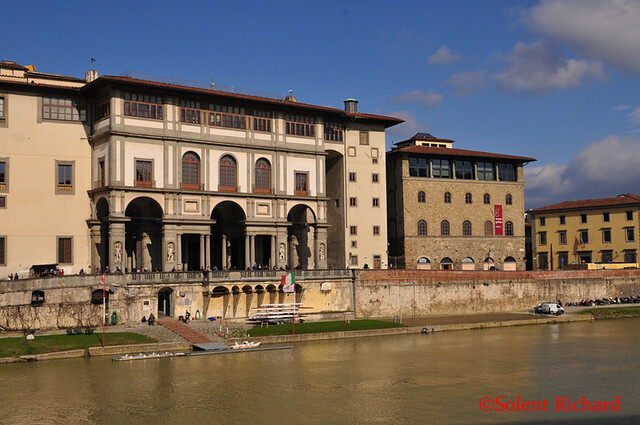 It is a U-shaped building with two long galleries connected by a short, arcaded gallery which opens onto the Arno river. 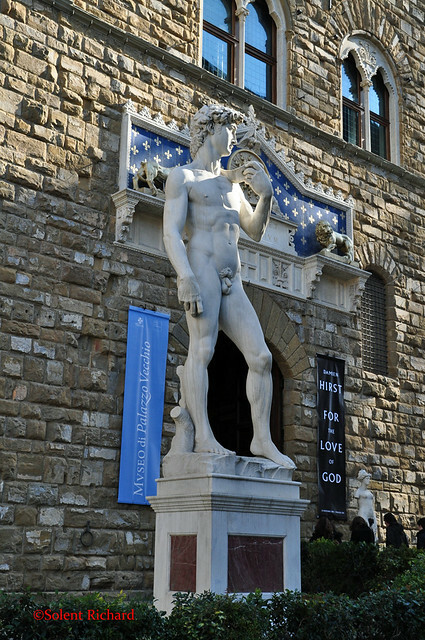 This construction created a long courtyard, the Piazza degli Uffizi. The façades of the Uffizi bordering the courtyard are decorated with niches containing statues of important historical figures. 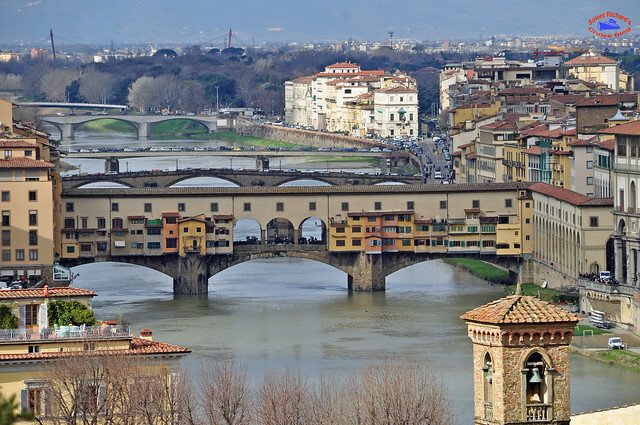 Uffizi Palace now houses the Galleria degli Uffizi which boasts the world’s largest collection of Renaissance art in what effectively is the world’s oldest art gallery. 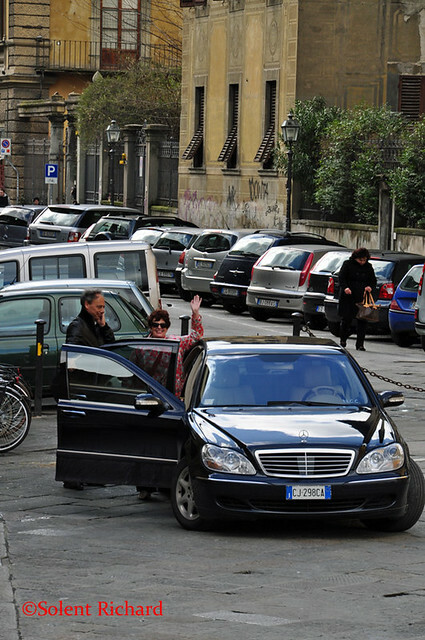 I previously mentioned the electronic car pass system effective in Pisa. 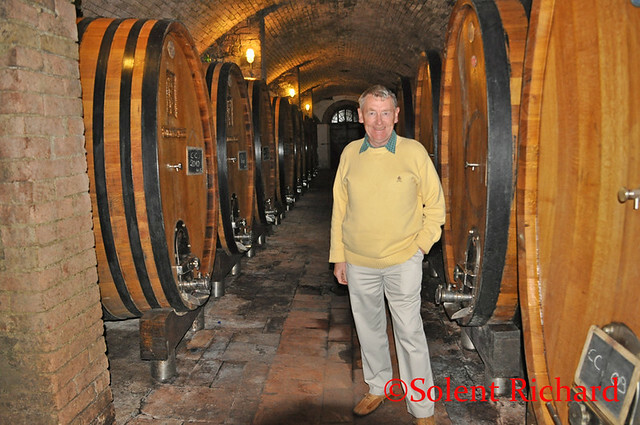 The same system was in operation in Florence and our Driver/Guide Roberto made exceptionally good use of it. 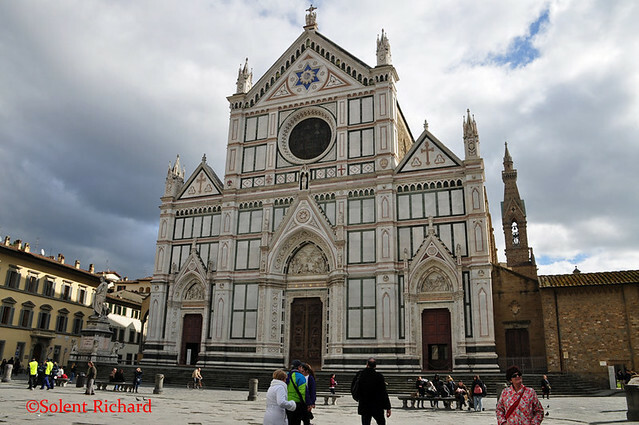 Coaches are not permitted into the central area of Florence, a point well worth noting for any visitors with walking or mobility difficulties. 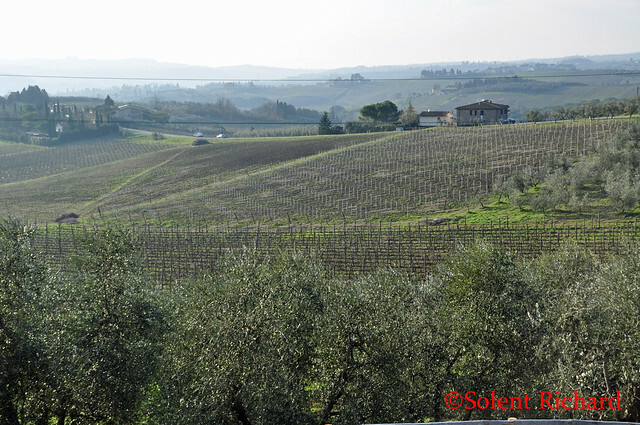 We now started to head back in the general direction of Livorno but on a route that took us into the heart of Tuscany and, by prior arrangement, for a private visit to a Chianti Vineyard, San Michele a Torri. 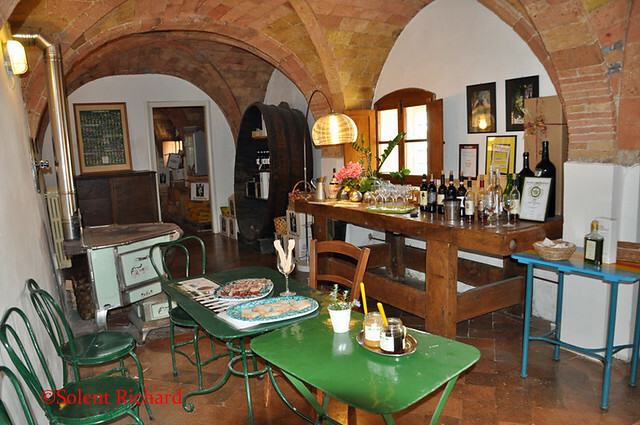 A great wine tasting and a rather excellent Antipasto platter with no obligation to purchase: though of course we did. On our return to Livorno we had half an hour to spare. Roberto gave us an unexpected tour of the town before dropping us back at the ship’s gangway around 6.00pm. 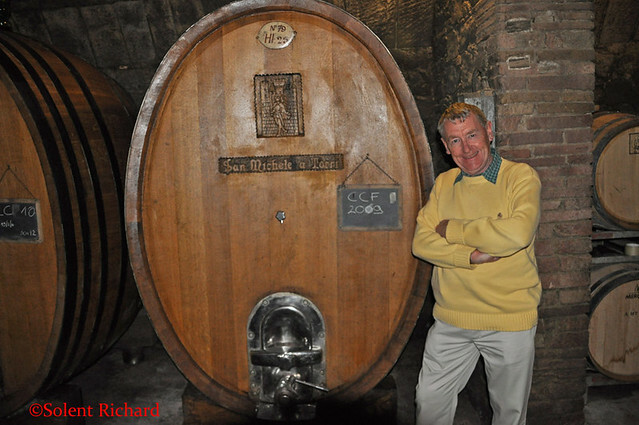 An excellent full day tour of just over 10 hours and one that would be difficult to beat in any other circumstances. The charge for the full day was €400.00. Thank you Papillon Services and in particular Roberto. Wonderful pictures SR plus another excellent one in the series!